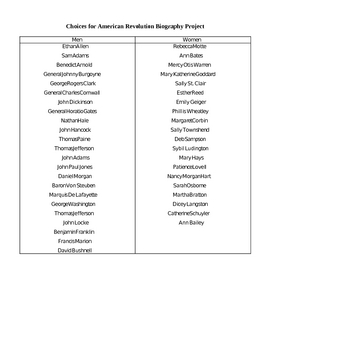 This is a project I use in my LA class conjunction with the teaching of the American Revolution in history class. The students research a famous person from the time period and create a visual aide that displays the information that they found. 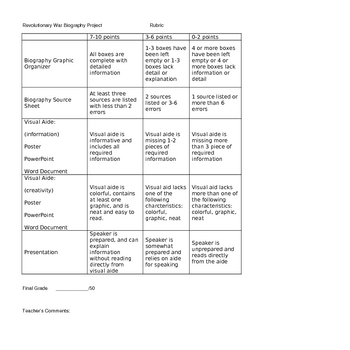 I use this activity to help teach the students how to cite sources using MLA and how to conduct research using reputable sources. 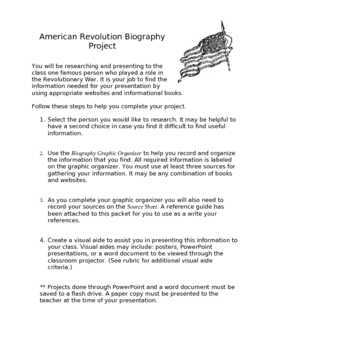 The document includes everything you will need to complete this same project in your own class. I have included an assignment sheet, a graphic organizer, sample MLA source sheet, grading rubric and a list of possible search subjects. Enjoy!